People should be greatfull for every living soul in their lifes. Member of a family, friend, pet…sometimes even an enemy who touches their lifes, teaches them or helps them to struggle through each day. I am greatfull for the beautiful soul, who I had the pleasure to meet and spend many magical years with. She was not even my grandmother, but my grandmother ´s sister. Yet she was like my second mother. Thanks to this person I learned how to be kind, how to deal with difficulties and how to enjoy life as it is. Although she looked always happy and cheerfull, she had her secrets which she revealed to me later in life. These secrets made me realise that life can be really though and we can not do anything about it, just we have to live with it. Grandmother helped my mother to raise me. When I was 9 motnhs old my mother had to turn back to work and my father was already working since sunrise till dawn. Grandmother came and offered her help. My parents couldn’t be more thankfull. Money were tight and so they didn’t have any other chance than to accept the offer. And so I spend every day in granmother’s house. Since that time till I first went to school, I was the happy child who just ran here and there and listened to old stories which my grandfather used to tell me. He was always trying to make me sleep with these stories but fell asleep himself instead 🙂 But there were another stories which I was about to learn later in life and they were so heartbreaking that I keep thinking about them from time to time. My grandmother had 2 siblings when she was a child. Her mother died whe she was just a little girl and her father remarried when she turned 10. Her new mother was a nice young lady, maybe too young to raise 3 children of her new husband. And mostly she wished to have her own children very much. My grandmother told me that her stepmother never liked her. Never helped her with anything, never thought her anything. In those times it was rather unusual to marry a widower with 3 children. And so young stepmother hurried to bear her own first child. After this child was born, she did not see anybody else. She expected from her step children to help her with everything and to grow up more fast. Since that day my grandmother did not know what childhood was. She was working nonstop in that household. Day or night if needed. Her young mother had another 2 children and the house started to feel small for such a big family. However the eldest child was leaving for army. 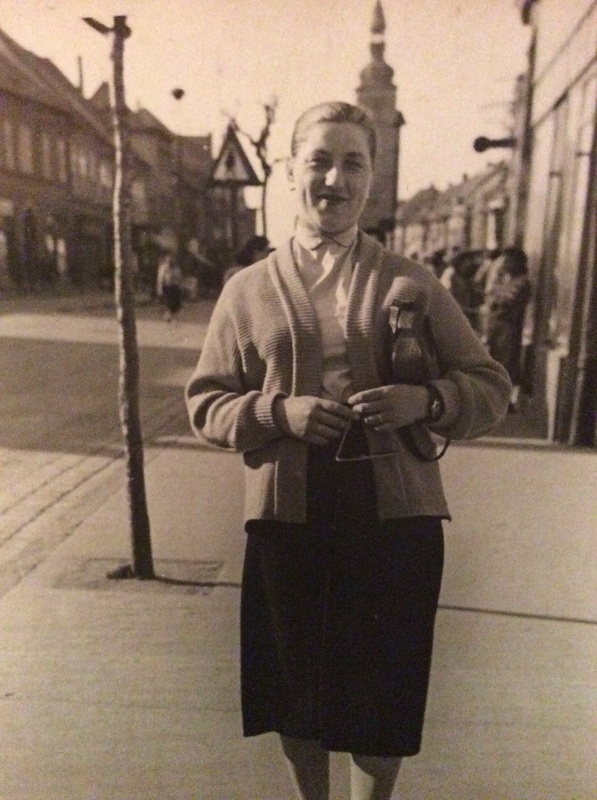 My grandmother was just 14, but she was already such a strong woman. You see, this all was happening during the World War II in Europe and men who went to army had to live with the fact that they could die over there. It was really though time for everybody. My grandmother loved her brother very much and she felt somehow that this might had been the last time that she had had the chance to see him. When he was waiting for his train on the railway station, she was there with him together with 2 other siblings. One of them was just a toddler. Seeing his sister in this terribe sadness from his departure, he sent her to buy him a pack of cigarettes. She went to the nearest grocery store (yes they were selling even cigarettes that time), bought the cigarettes and hurried back to her brother. When she came back, the train was already on it’s way. Her brother just waved her good bye. She was destroyed, cried like a little baby. But then she realised that he did this not to have this tearfull moment with her. He loved her very much as well and he just could not stand to see her cry like this. And so my grandmother turned back to home together with her little brother and baby sister in her arms. After a few months of tough army life her brother reapered at home. Everybody knew that his duty did not finish. So how did he came back home like this? He ran away. Defector. Traitor, as the government would have called him in later years. He just could not stay there anymore, he said. Enough of killings, enough of bullying, enough of terrible living conditions. He was missing his family. Soon after his departure from army, the military police started the search for him. Defectors belonged to prison. There was no other way of handling these kind of situation. Since he was not carefull about his next steps, they could track him down very easy. His first stop was his home where he tried to hide. But not for long. His sister warned him and made him leave that place. This will be the first place where they will be looking for you, she said. She was right. She helped him to run again, but he could not hide for any longer. The military police found his trace and finally cought him near the old church in his hometown. In such a desparate situation he reached for his gun and started to fire. As they fired back, the hunt was over. The quarry was dead. His sister was running after him and saw everything. The last thing which she saw was the calm expression on her brother’s face when he was falling down. He was so peacefull, she told me later. As if he knew he was going to much better place. When she was telling me this story she was so calm. Or maybe I had this feeling because I was listening breathless. She was my hero since then. Actually she became my hero a long time ago. And she will stay my first and last hero forever.